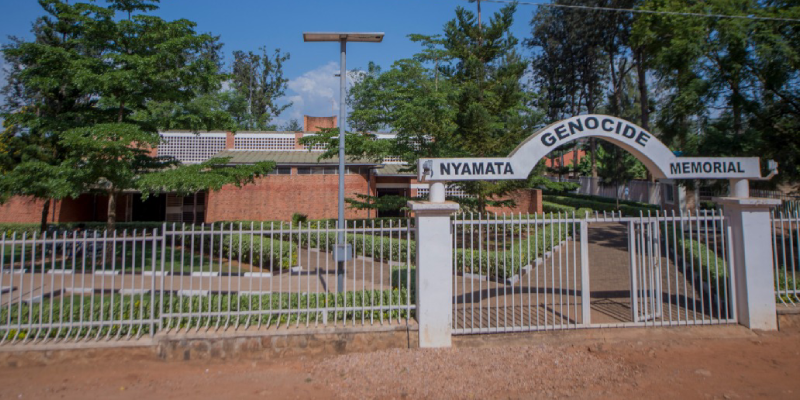 Most of the Tutsi population mostly living north and south of the country were forcibly deported to dwell into the barren and tsetse fly infected area of Nyamata. Once the area operated and become habitable by these occupants Tutsi in 1980, a church was setup for worship. In 1994, this place once regarded holy and sacred become desecrated; a place of sacrifice of the Tutsi faithful members by their Rwandan counterparts where over forty five thousand people who had sought refuge were all brutally massacred in one day. After negotiations between the Catholic Church and the Rwandan government, the church was converted into a memorial site, representing other churches in which the victims of the genocide against the Tutsi were slaughtered.